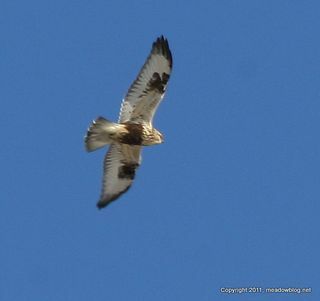 We had a light-morph Rough-legged Hawk (left) over Disposal Road by the Carillon at lunchtime (along with two combative Northern Harrriers). A Eurasian (Common) Green-winged Teal was seen this morning among the American Green-winged Teal by the second bridge at Mill Creek Marsh in Secaucus. 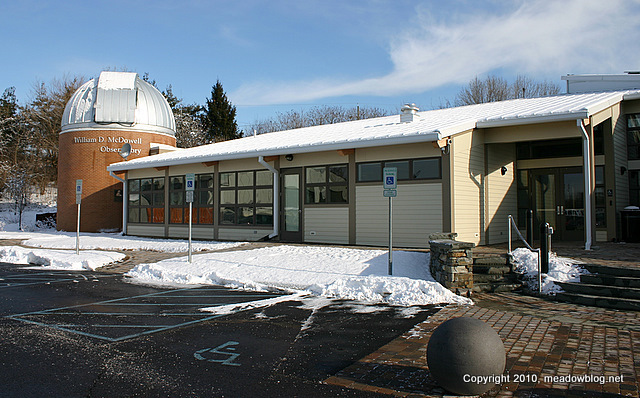 The William D. McDowell Observatory in DeKorte Park begins a new year of programming tonight with free public access at 7, 8 and 9 p.m. — weather permitting, of course. 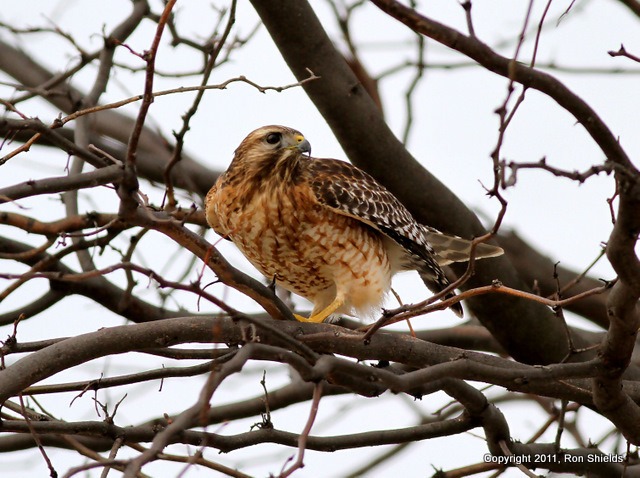 For the complete January schedule and more information about free public viewing nights, click here. 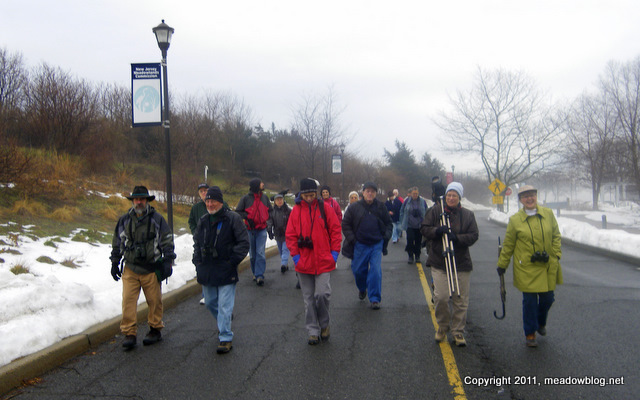 We had a nice turnout for our first Sunday-of-the-Year Walk at DeKorte Park despite the fog and otherwise less-than-ideal weather — more than 20 people and more than 20 species.